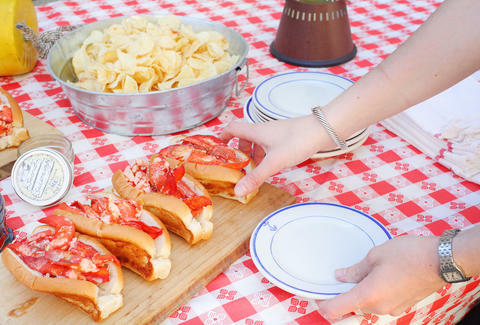 People feel very strongly about their lobster roll. 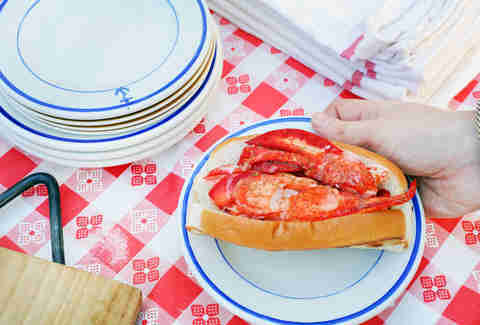 Whether it's Connecticut-, New England-, or Maine-style, passions are easily inflamed. To see why one group thinks their style is superior, we talked to the dudes from Luke's Lobster, Maine-style slingers with locations from New York to Bethesda to Chicago and beyond. Here's why they think their style is the crustacean king. 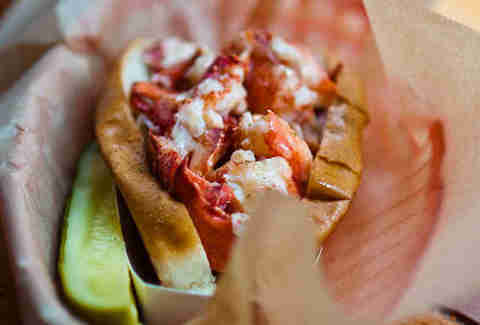 The most important thing in any roll: you've got the right lobster. When one imagines a lobster they usually think of the American lobster, Homarus americanus, rather than the clawless rock lobsters found in tropical waters. And when one thinks of what state is famous for lobsters, one thinks of Maine. Lobsters from there are the best in the world due to the cold, non-polluted waters and sustainable management of the fishery. Most people would prefer an Idaho potato over, say, an Alabama potato. Right? Tail meat? Are you a barbarian? The delicate flesh of the knuckle and claw are where the best flavor and texture are. While the tail is nice, it's either chopped and mixed up into a lobster salad or just too thick and unwieldy to belong in a proper roll. 3. They're not "dragged through the garden"
Meaning Main-style rolls aren't covered in celery, parsley, spinach, or whatever weird vegetable shenanigans New England-style lobster rolls try to pull. No, Maine-style ensures the lobster shines with each bite, not an herb garden. Maine-style prides itself on using barely a whisper of mayo, just enough to bring out the natural flavor without overwhelming it. New England rolls tend to slop the stuff on and Connecticut rolls go straight butter, which can lead to a greasy mess. 5. It's served cold One of the keys to good sandwich flavor is balancing hot and cold elements. A hot, buttered bun with cold lobster? Sublime. Hot lobster with a warm bun and, like, warm butter? No bueno, brother. Or as they would say in Maine, "No bueno, brother" (they speak Spanish there, too, you know).